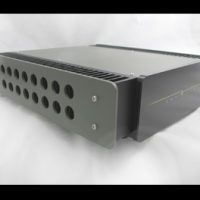 The P300 is a high performance universal Phono amplifier that only operates inside the L300 preamplifier. 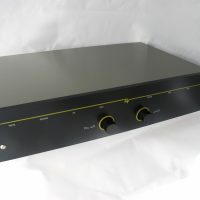 The P300 is an ultra low noise, high accuracy Phono amplifier with very large dynamic range. Like all Dynavector products it is designed to maintain the intrinsic 3-dimensional nature of the music and allow the full dynamics of the recording to be retained. Like the L300 is has several unique design features and uses a multi-layer printed circuit board with increased thickness Australian copper. The output from the P300 is a balanced signal and matches the L300’s internal balanced connection provided for it. The P300 is fully user adjustable and can accomodate any cartridge type or output level. No soldering and no extra parts are required. 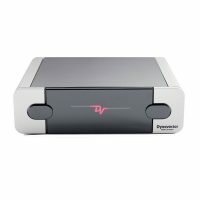 In addition to operating in a standard Phono amplifier mode, the P300 may be set to operated in Phono Enhancer mode ( PE mode ). PE mode is a patented circuit developed by Dr Tominari of Dynavector Japan. Placing the P300 in PE mode will terminate the cartridge in zero ohms ( and for those who really want to bend-their-brain, “a negative resistance” ) and extract the music signal as a current. … no email on negative resistance please, try the web & electronic theory texts for further information. See also our notes posted on this site in the Information Box on the left hand side for more information on PE mode and how it might work with your cartridge. 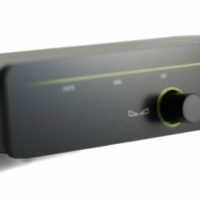 The P300 is currently our top-of-the-range Phono solution.